Zebra Stripe Watch Only $4.15 + FREE Shipping! You are here: Home / Great Deals / Amazon Deals / Zebra Stripe Watch Only $4.15 + FREE Shipping! Looking for a new watch? Like zebra print patterns? Then, I have just the thing for you! 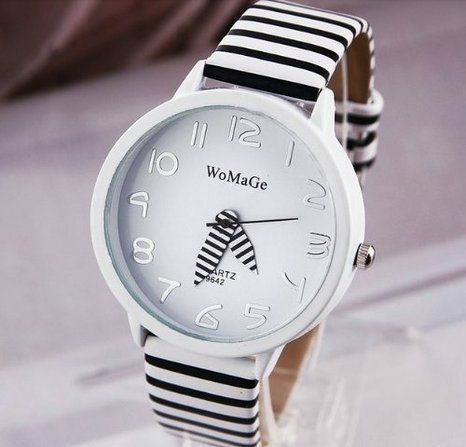 You can get this fabulous Zebra Stripe Watch for as low as $4.15 with FREE shipping! I love this on! I may have to grab it for my watch collection at this price. I love having options to mix and match with my outfits!